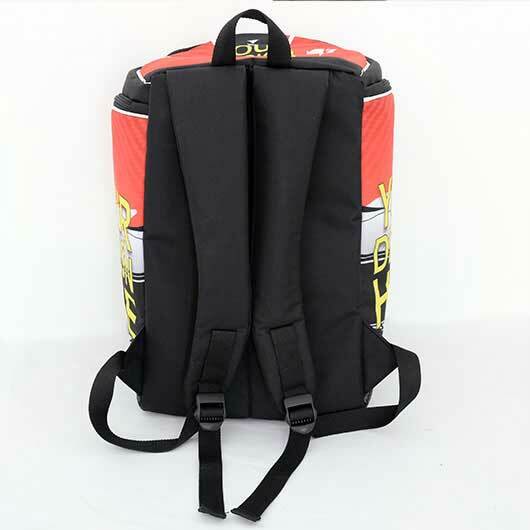 The motorcycle rider that always enhances their riding experience such as by having a helmet bag. Many sold out there on the market but if you want the extraordinary one, you should order from us. 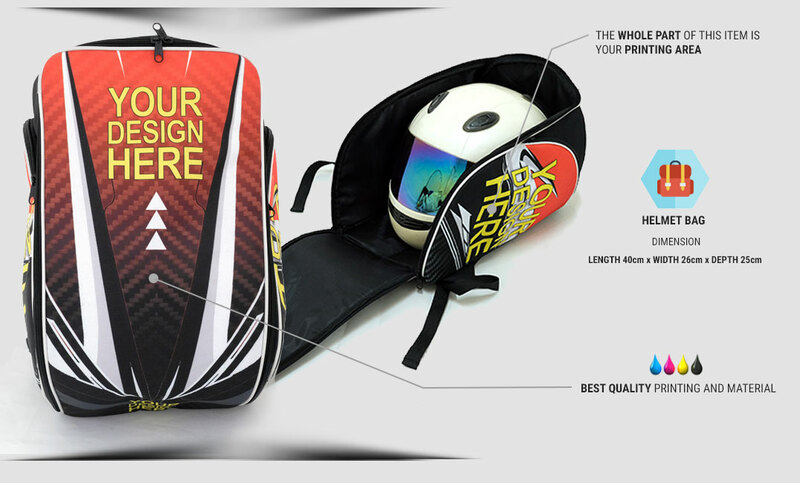 Our helmet backpack is made of high-quality materials: Polycanvas and Collatex. 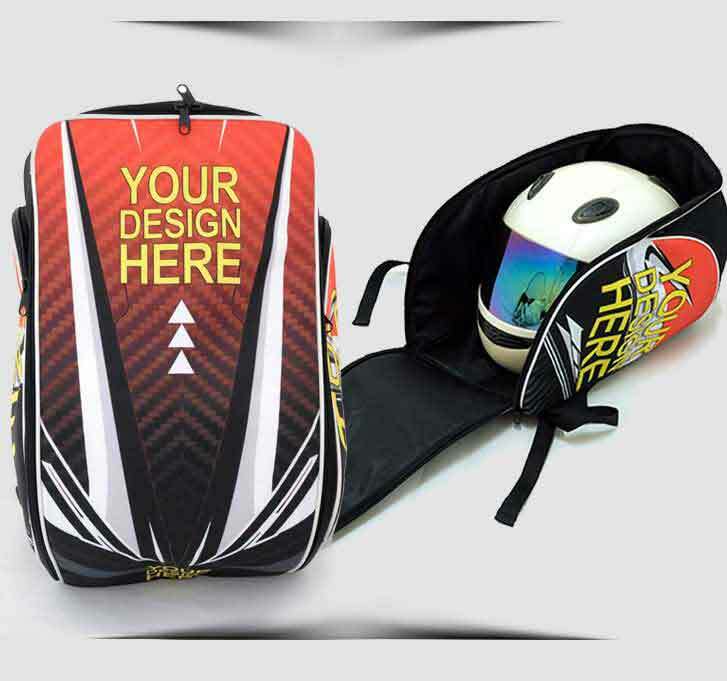 Polycanvas is a mix of polyester and cotton with a rough texture, doff colour printing, thick fibre, strong, and falls nicely while Collatex is a thick Polyester, fibrous and shiny with strong resistance. 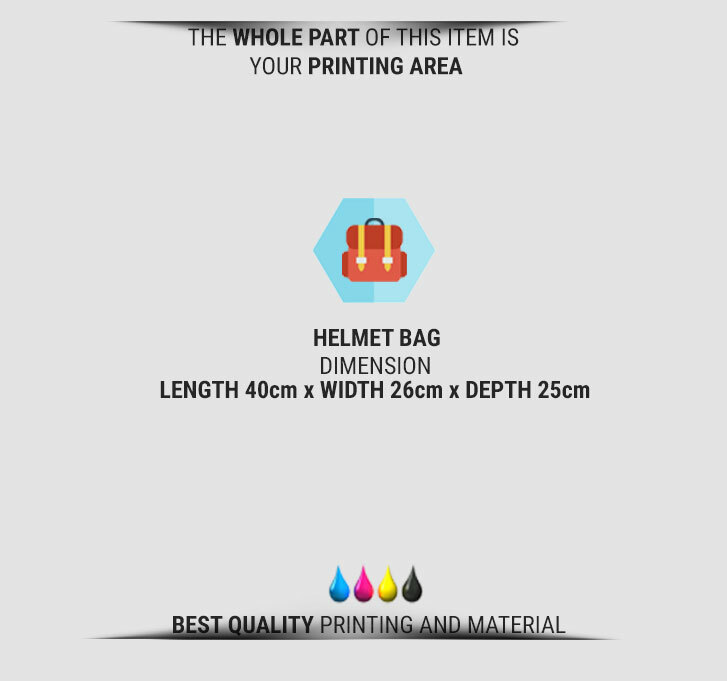 Both are great for making a durable item like the bag, especially helmet bag. 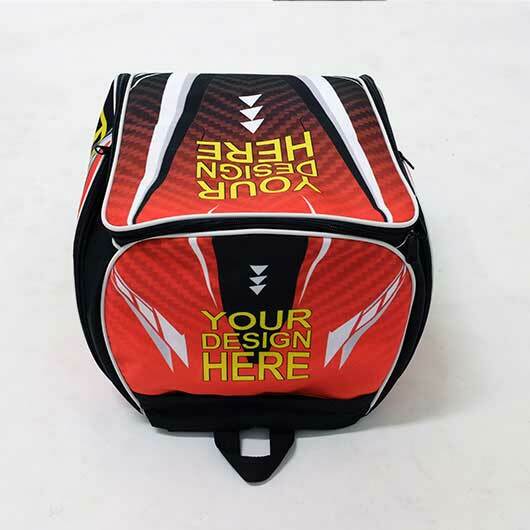 Our helmet bag has dimension length 40 cm x width 26 cm x depth 25 cm. 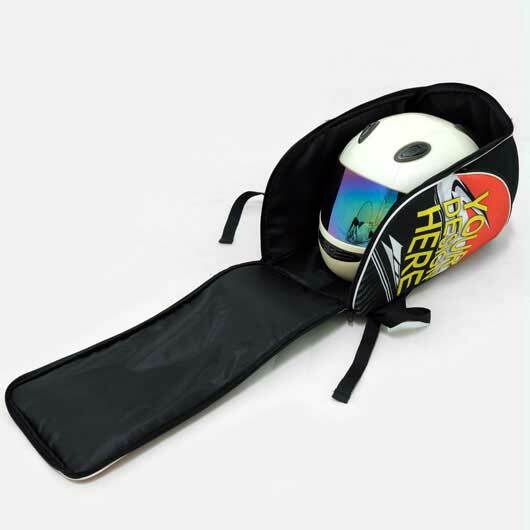 The main compartment is large enough to carry a half-face or full-face helmet. Completed with a large enough pocket on each side left and right, also an extra pocket on the upper side. All closed with the high-quality zipper. 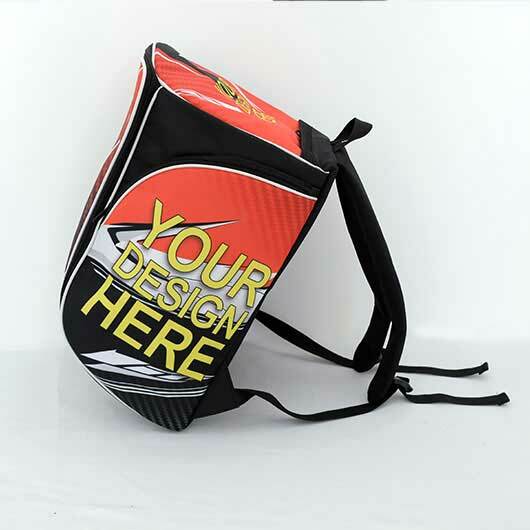 The bag is ready to be carried with also a pair of high quality, strong, and durable sling shoulder. 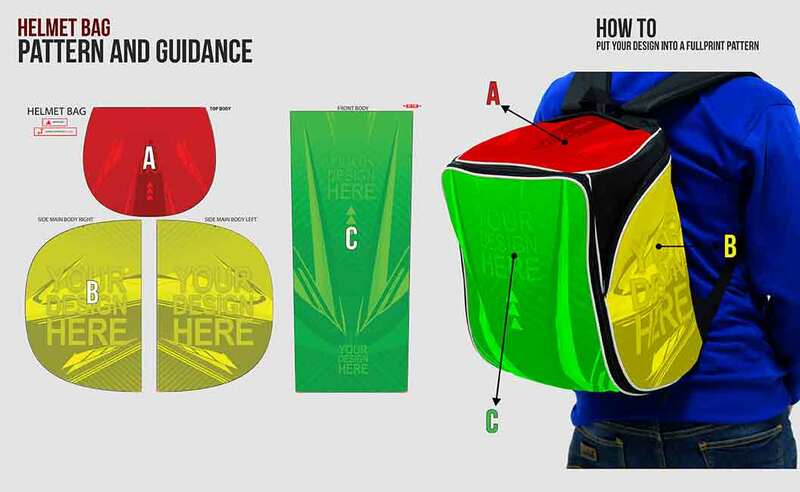 This helmet bag is customizable. The printable areas are the side parts, front, and the upper side part. 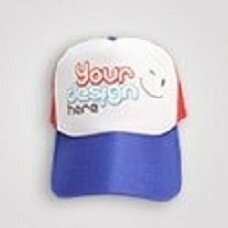 You can print any designs you like in that area. 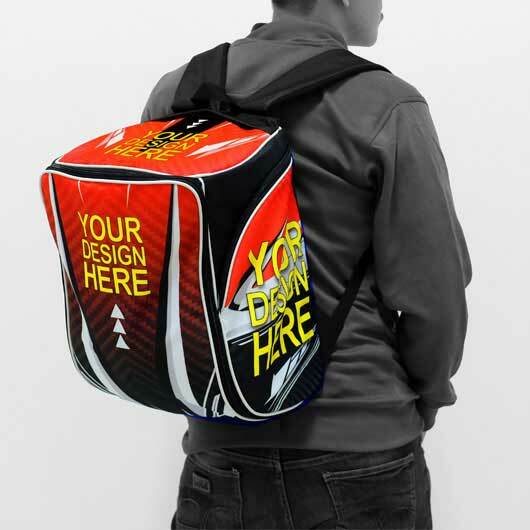 Get your own design printed today really fast as we are supported by the latest advanced technology and experienced experts. Order now!